Happy Friday Friends! Hope your week has been a great one thus far and that you weekend is full of all the things that bring you joy. Welcome to another edition of The Friday Five, where I like to share five great finds I discovered during my blog reading. It’s a small way of shining the spotlight on few of the many bloggers whose writing spoke to me in some way. Reading her words was like getting swift kick in the rear. In it she encouraged me to stop seeking solitude. I have the opportunity to work from home on certain days and much to my chagrin the day has passed and I haven’t even been outside unless you count reaching my arm out the door to get the mail. I discovered this good dose of medicine for our soul via Joanne’s Random Five Post she linked up last week. And I’m so glad I did. It’s one of those reads we all can stand to hear over again from time to time. In this poignant prose Deidra challenged us to rethink the way we view other bloggers. When I read her words I recalled how excited I was a well-known blogger visited and left a comment on my blog. 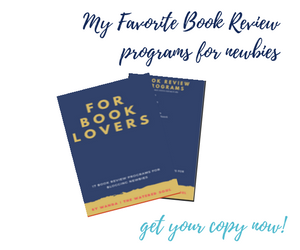 Here’s where I like to invite you to join me in sharing your favorite reads or writes by linking up your posts below. Thanks to each of you who join me each week. Thanks for the shout out, Wanda! I LOVE the Friday Five! I get to connect with so many new bloggers this way. Thanks for providing this ministry. Hi Pam, you are welcome my friend. Your analogy was fantastic. Hi Wanda! I’ll echo Pam’s shout out! I did read her post this week, and loved it as usual. I’ll have to read a couple more, as your picks are always shining my way to meet new people, and soak up their beautiful faith. Hi Ceil, I agree Pam does a great job but that Dog or Cat one had me seeing myself in a fresh new way. And yes my tooth is feeling much better. Thanks for asking. I appreciate your concern. Hope you’re enjoying your weekend. Wow! What an encouraging ministry! I’m looking forward to reading your Friday Faves and linking up with you next week. But for today, THANK YOU for sharing my post. What an honor and a blessing, Wanda! Thank you! Hi Tanya, you are quite welcome dear. It’s just my small way of giving shining the light of the many talented bloggers. Hope you’re encouraged to keep doing what you do. And you’re welcome back here any time. Many blessings to you. Thanks, for the link-up, Wanda! Always a pleasure to have you join in Cynthia. Are you guys getting snow? Love coming here on Sat. mornings as I can always enjoy my coffee & quiet with your links. They are always good reads. Thank you for the mention too. You are most kind. May you have a wonderful Thanksgiving! Hi Joanne, I’m late in making my rounds to everyone but I look forward to seeing your goodies you’ve shared this week. Appreciate you joining me each week. Hope you & your family enjoy a Happy Thanksgiving as well. Great links Wanda. I especially enjoyed the one by Sharp Paynes. I needed that reminder today. Much love to you friend. Hi Beth, I was happy to discover that one via Joanne too. What you do ministers to many including me for sure. Wishing you and yours a Happy Thanksgiving. Happy Friday! Happy Reading, and Thanksgiving blessings to you, Wanda. Hi LaVone, Hope you & yours enjoy a Happy Thanksgiving as well. Do you have big plans? This post also blessed me as worry is something I struggle with as well. Hi Janis, Pam really did a great job with her post. Thanks for sharing Cherry’s post. I look forward to reading it when I get a moment. Hope you & your family enjoy a very Happy Thanksgiving holiday. Love the Friday Five!! I enjoyed Pam’s post this week about dogs and cats. Though I’m definitely a dog person, I am chagrined at the *cattiness* that sometimes lurks inside of me! If I don’t talk to you again this week, have a wonderful Thanksgiving, Wanda. May we always be mindful of the many blessings we have been given by the Giver of Good Things!! Sharon, I’m with you. I would definitely pick a dog over a cat but Pam pointed sure showed me by cat like ways. Hope you and your family enjoy a safe & Happy Thanksgiving too. Thank you for sharing all this goodness, Wanda! You spread the love. Hi Tresta, you’re quite welcome. Hope you and your family enjoy a Happy Thanksgiving.